I eat on my own. Some time in the last two weeks P has mastered eating yogurt on her own! Seriously eating on her own with very few messes and scraping down to the last drop. 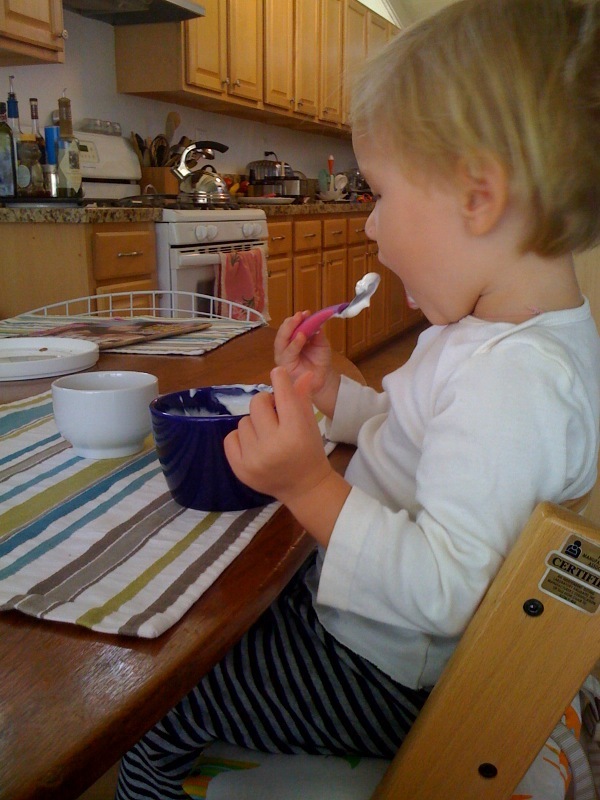 I love watching her scoop, scrape the bottom of the spoon on the edge of the cup and eat. It’s all done with such attention to detail and precision. She won’t let me feed her yogurt anymore. I love it! Now I can give her a little bit of yogurt at the start of every meal. While she’s engaged with that I can finish getting her real meal ready. Yogurt has replaced the TV!